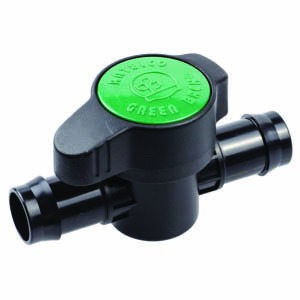 The Green Back Valve Barbed 1/2" is used to adjust the flow from greywater outlets. For unfiltered greywater, this is a point of potential clogging and should be monitored. Green back valves have a larger orifice than typical ball valves and are the only brand we've found that work with the laundry to landscape system (other brands clog very quickly).